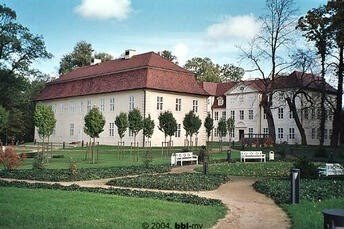 In collaboration with the 250th anniversary of Queen Charlotte’s coronation, the officials of Mecklenburg-Strelitz celebrate the grand re-opening of the Queen’s birthplace, the Castle Mirow. The merriment will commence Friday, June 17, 2011, in honor of the Queen and the castle’s historic legacy. The ChorFreude Festival participants will serve as the special American guests of Mirow’s highest officials. Experience a traditional feast and engage in unique cultural exchanges with the people of Mirow while visiting the royal duchy and birthplace of Queen Charlotte. The Castle Mirow served as the home of the Dukes of Mecklenburg since 1587. Sophia Charlotte, born May 19, 1744, was the youngest daughter of Duke Charles Louis Friederich of Mecklenburg-Strelitz, Prince of Mirow, and his wife, Princess Elizabeth Albertine of Saxe-Hildburghausen. The future queen’s bloodline reigned over Mirow for centuries. Sophia Charlotte was the granddaughter of Adolf Frederick II, Duke of Mecklenburg-Strelitz, by his third wife, Christiane Emilie Antonie, Princess of Schwarzburg-Sonderhausen. 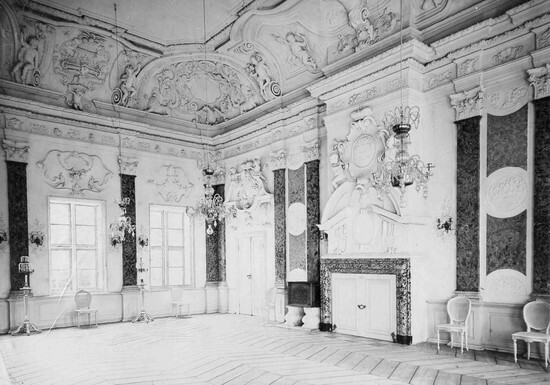 Her father’s elder half-brother reigned from 1708 to 1753 as Adolf Friederich III. The children of Duke Charles were all born at the Castle Mirow, a modest citadel comparable to a large country estate. The daily life at Mirow favored that of the family of a simple English country gentleman rather than prestige and royalty. The children practiced needlework, embroidery, and lace-making. The children were raised by the careful hand of their mother, with admirable education and grounded religious principles. They received further education by a Lutheran minister by the name of M. Gentzner who offered detailed knowledge of botany, mineralogy, and science. Sophia Charlotte ultimately developed a lifelong appreciation for botany and the performing arts. Sophia Charlotte went on to fulfill an arranged, yet happy and faithful marriage, to King George III of the United Kingdom, who was attracted to her charm, intelligence, good humor, and sparkling eyes. Although the Queen spent her entire adult life serving the United Kingdom, her legacy prevails over the region of Mirow.